Items on this page reflect any information we have concerning local planning issues. Report of the Community Facilities Audit 2016 - here This report is from the 'New Hall For Old' group. 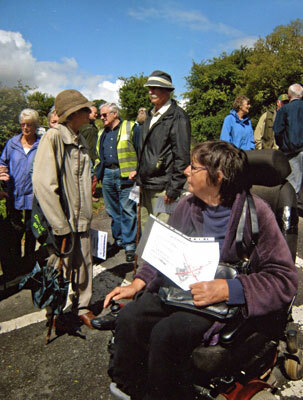 The results of Celia's Traffic Census in Castle Street can be downloaded - here. 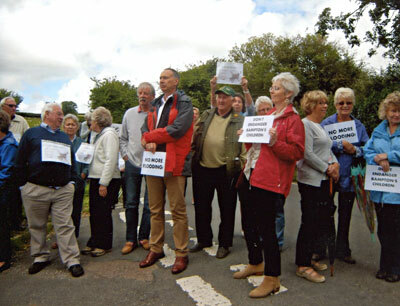 These photos show the 'demo' of feeling against the proposal for new homes on the land beyond Bourchier Close. This coincided with a site visit by the Planning Committee representatives on 28th July 2015. 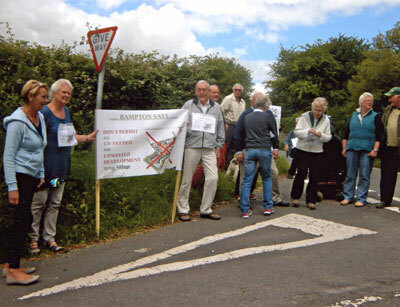 Shillingford Solar Farm - Permission Granted (24 June 2015). Appeal Inspector's Report and Inspector's Decision on Costs documents are available by clicking on their titles.